An art project that brings about expression through encounters transcending "differences"
TURN is the umbrella term for an art project that brings about interaction in expressive form through encounters among diverse people, transcending differences in customs and background such as disabled/non-disabled, generation, gender, nationality and living environment. TURN was launched in 2015 as one of the Tokyo Metropolitan Government's leading projects in the cultural program of the Tokyo 2020 Olympic and Paralympic Games. Since 2017, it has been implemented as part of the Tokyo 2020 Cultural Olympiad. In the TURN Interactive Program, artists make repeated visits to social welfare facilities and communities of people requiring social support, interacting with members and participating in cooperative activities. In TURN LAND, settings for the day-to-day implementation of TURN's activities are created in local communities. With these two programs as a foundation, the significance of TURN is widely disseminated through the programs TURN Meeting and TURN FES. This cooperative program provides repeated opportunities for encounters and mutual interaction between artists and social welfare facilities as well as communities of people requiring various forms of social support. Artists in the program also carry out research to explore phenomena not readily apparent in society and daily life. In this program, social welfare facilities and communities plan participatory programs together with artists. Added to the sites' original functions is a different role as a cultural facility open to the community where members of the public can gather, creating a setting for the day-to-day implementation of TURN. In this festival, the activities of diverse artists and partner facilities and communities that carry out the TURN Interactive Program and TURN LAND come together under one roof. Visitors experience TURN close up through displays of creative work, workshops, speaking events, original programs and more. This is a setting for sharing, speaking about and considering the possibilities of TURN. Along with participating artists and relevant members of partner facilities and communities, as well as invited special guests from different fields, we consider TURN from diverse perspectives. Atelier La Mano is situated in a small semi-rural area of Machida City. Together with people who have various disabilities including autism and intellectual disabilities, they make craft items such as dyed and woven products and undertake creative projects. 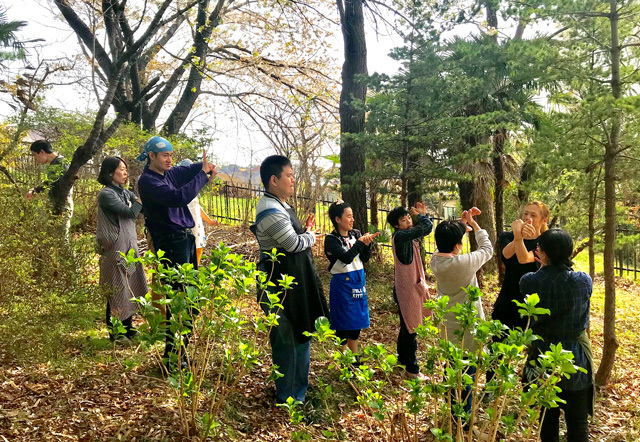 In the natural setting of La Mano, dancer Kaiji Moriyama spent time with the people who use the facility and presented an improvisational performance. Established by the Itabashi-ku district of Tokyo, Itabashi-ku Komone Fukushien is a facility that carries out daily life support activities tailored to the special characteristics of its users, from people with multiple and severe disabilities to people aiming to join the work force. 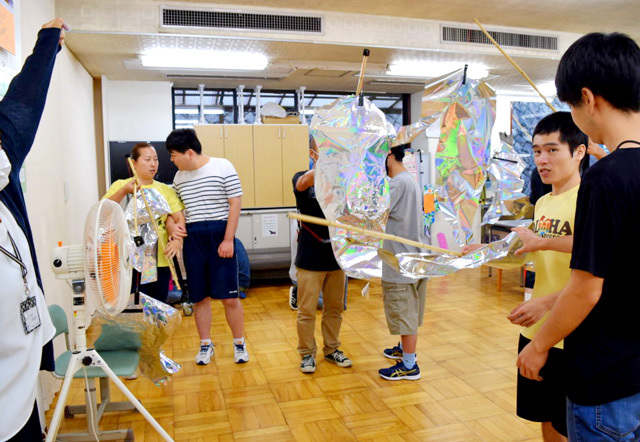 Together with users of the facility, artist Kentaro Onishi carried out the project "Kaze Aruki," outdoor walks in which participants fly "Miirairai," cut-out figures modeled on themselves. 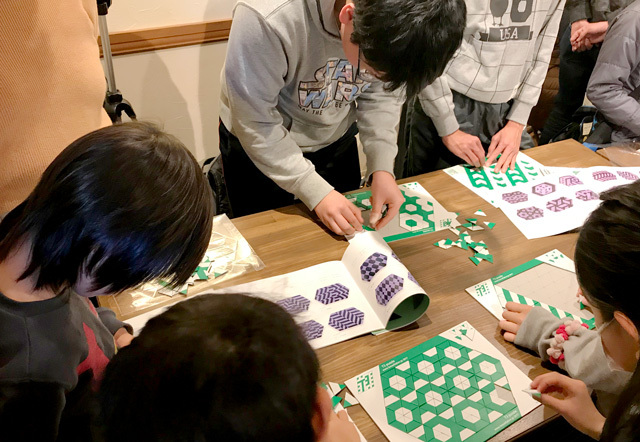 Known for creating the Kodomo Shokudo cafeteria, Kimagure Yaoya Dandan has developed "Otona Zukan" (Illustrated Encyclopedia for Adults) together with artist Daisuke Nagaoka. The invited guests, grownups who do unusual types of work, are people whom most of us would be unlikely to meet in daily life. Together with children, we will think about ways of working and ways of living. 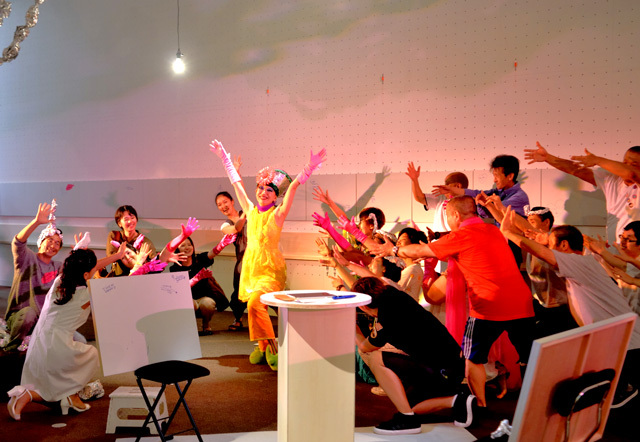 At TURN FES 3, the theme of which was accessibility, artist Emi Tomizuka and drag queen Madame Bonjour JohnJ produced the no-talking space "A Square of Light." Together with TURN Fes visitors, we enjoyed richly expressive communication achieved through non-vocal means. Discomfort and difficulty that come from being “different from others” exist in society. Many such situations are overlooked and never brought to the surface. People who have suffered from the feeling of not having a place to belong, and the social welfare facilities and communities who support them, have always borne and confronted the full weight of this difficulty, which is unevenly distributed in society. We carry out TURN’s programs based on a desire to renew the framework of people’s understanding and awareness by uncovering and transmitting to society the value in “difference” through the power of art–which originates in the imagination. The entry point of this endeavor is an interactive process of encounters between artists and people who gather in social welfare facilities and communities, and their recognition of one another’s human qualities. As a legacy to leave after the year 2020, we also undertake the creation of relationships and social networks that allow all of us to think about a society in which TURN is present while drawing on rich and diverse imaginative powers. TURN is both an art project and a new system of values for guiding these activities.